An impressive train, consisting of 12 coaches and led by a heavy duty Ge 6/6 II engine has just left the station of Bever. 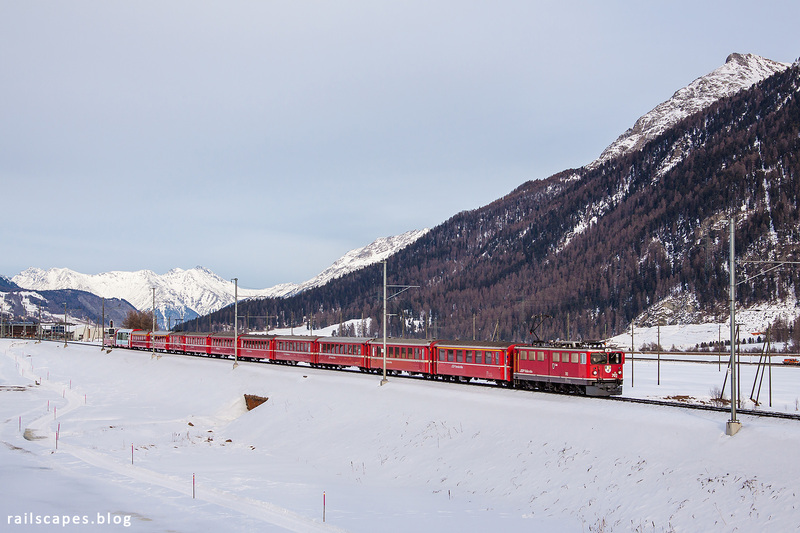 The powerful engine is justified by the climb up the Albula pass – between Bever and St. Moritz the trains run run in a relatively flat valley. The backdrop is what makes the view. 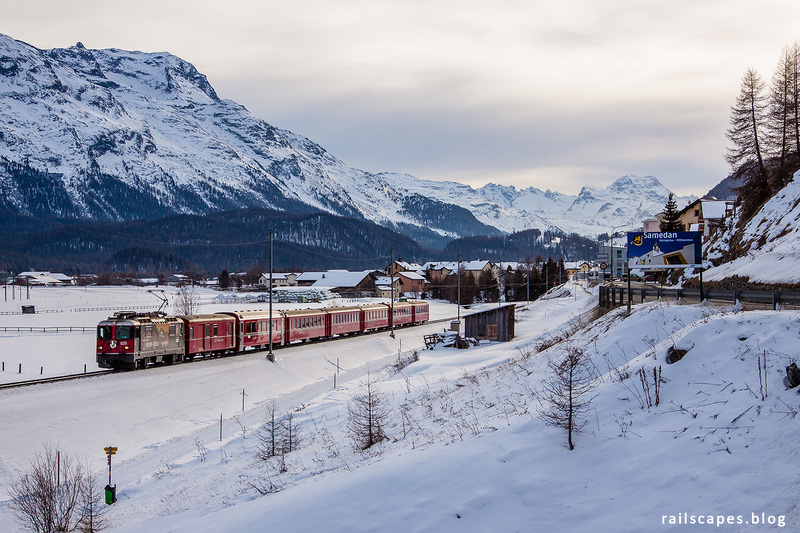 Flat valley and beautiful surroundings are probably two main reasons why St. Moritz, a bit further up the valley, has become a main tourist resort.